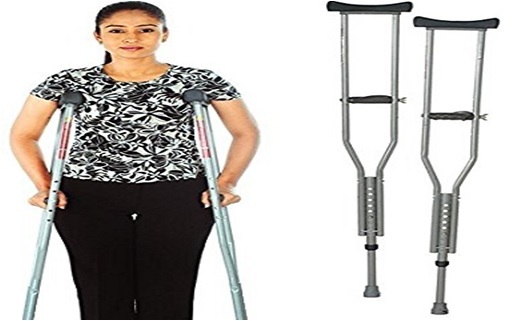 In several walking disorders or conditions of impaired balance, one usually wants a crutch. Its reasonably like having a shoulder to adjoin, all the time, that you just will trust blindly. 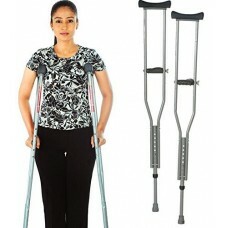 This higher arm crutch needs minimum coaching and well less high extremity strength than different styles of crutches. It provides extra points of contact and a wider vary of stable gravity positioning. ANS It is available in two sizes that are Medium and Large. ANS Yes, it can be used on the marble surface and it wont slip. Adjust the size according to your height . 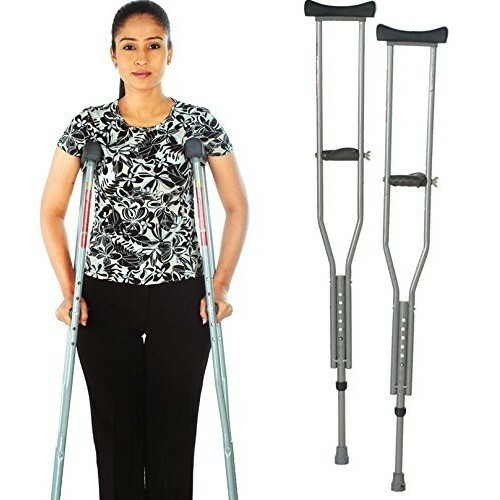 Special Feature Under Arm Auxillary crutches provide support to both the arms and aid in walking.